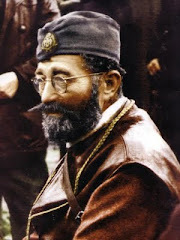 Aleksandra's Note: Srdja Pavlovic's Op-Ed slamming the Serbs in general and General Draza Mihailovich and his Chetniks in particular that was published by Canada's Edmonton Journal on May 9, 2012 elicited a passionate reaction from many who immediately recognized the serious flaws in the piece. A number of people responded, many of whose responses remained unpublished. The letter below, written by Canadian born writer Michael G. Papich, was among those responses to Pavlovic's hit piece that remained unpublished in the Edmonton Journal but will see the light of day here on www.generalmihailovich.com. My thanks to Mr. Papich for taking the time and caring enough to respond to Pavlovic, knowing full well that there was little chance of publication, as is the case with so many testimonies written over the years on behalf of the Serbs. RE: My comments regarding Srdja Pavlovic’s May 9th, 2012 column in the Edmonton Journal, “Rewriting the past a bad idea; Don’t use Nazi-era figures for modern agendas." 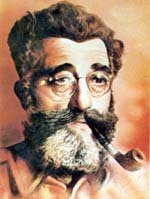 In the flawed record of historical events is the myth that Draza Mihailovich was a WWII German collaborator. 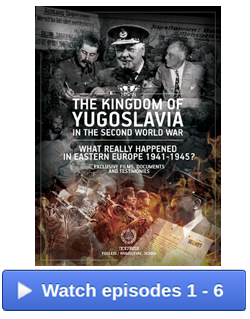 For the record, let one review the findings of Canadian born David Martin as revealed in his book, The Web of Disinformation: Churchill’s Yugoslav Blunder. It was Martin who reported on how Churchill was deceived by James Klugmann, a Soviet Communist mole in the service of British Intelligence (SOE) located in Cairo, Egypt. Among other things, Klugmann falsified vital reports, crediting the anti-German actions of Mihailovich’s Chetniks to Tito’s forces. Klugmann was associated with the notorious Cambridge Five Communist moles: Kim Philby, Guy Burgess, Donald Maclean and Anthony Blunt. Consequently, Churchill stopped supporting Mihailovich and re-directed arms and supplies to Tito’s forces. 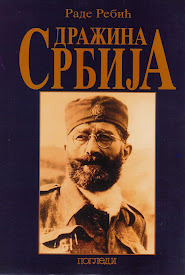 Tito did fight the Germans but used most of the arms to fight a civil war against the Chetniks and with those arms Churchill enabled securing Yugoslavia as a Communist State. After the war, Churchill revealed in a speech made in Belgium that his greatest blunder in WWII was switching his support from Mihailovich to Tito. David Martin, an author, WWII RCAF veteran, historian and foreign policy advisor for an American Senator, also wrote the books Ally Betrayed and Patriot or Traitor which clarified Mihailovich’s non-collaboration with the Germans. 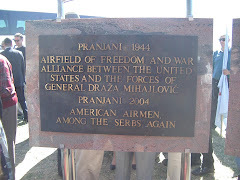 Mr. Martin was the organizer and director of the postwar Committee for a Fair Trial for General Draza Mihailovich. Among his credentials, Mr. Martin was an Associate Editor for the American Bar Association’s Standing Committee on Law and Security and also a member of the Board of Accuracy in Media. 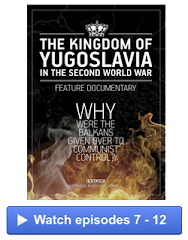 Tito, a Moscow trained Communist, was an outlaw and leader of the Communists in Yugoslavia before the German attack on Yugoslavia in April of 1941. Prior to that attack, the two infamous tyrants, Hitler and Stalin, entered into a infamous pact and one of their goals was to divide Poland between them. However, Hitler planned to double-cross his partner Stalin by attacking the Soviet Union in an operation called Barbarossa which was to begin in early May of 1941 to ensure a timely defeat of the Soviets. 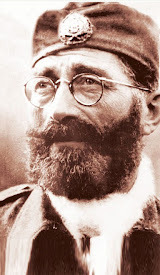 Hitler’s misfortune was the upstart guerilla resistance of Draza Mihailovich, the recognized first successful anti-Nazi guerilla fighter of WWII. Hitler was preoccupied with trying to wipe out Mihailovich’s resistance and was forced to delay the start of Operation Barbarossa from May 15, 1941 to June 22, 1941. That delay may have cost Hitler the war, as the German Army stalled 20 miles outside of Moscow during one of the worst Russian winters in years with limited supplies of food, fuel, and warm clothing - shades of Napoleon’s attack and defeat some one hundred and thirty years earlier. Now, on June 22, 1941 Tito did not attempt to join the fight against Hitler’s forces. Why should he? His boss was Stalin who was in a Pact with Hitler. 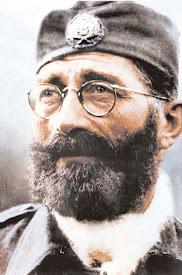 At the same time, Ante Pavelic, Croatia's leader, was one of Hitler's most loyal allies. Thus, fascist Pavelic and communist Tito were on the same side! 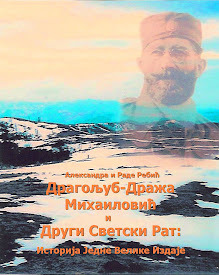 Near the end of the war, many of Pavelic’s fascist Ustashe joined Tito’s Partisan forces against the Royalist forces (Chetniks) of Mihailovich. 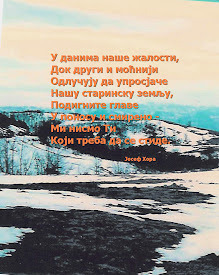 Another noted Canadian diplomat - author, poet, multi-linguist, and University head - Watson Kirkconnell - wrote the following poem in 1946 which summarized events in the former Yugoslavia during WWII. Srdja Pavlovic should take heed! For justice kneels to pray. To make his land a slave. That raped and sacked his native land. But fought for Stalin still. Black Tito claimed the credit. In noisy clamor said it. Whom Tito dooms to die. Conclude a court of shame. To please a bloody devil. The friendship of a beast. Fresh blood upon his hands. Have vanished from the earth. And Russians -- shall be free. Among the saints for evermore. While Tito rots in hell. NOTE: Even though the rescue of the "500 Yanks" (Americans) mentioned in the poem was a classified secret in the United States, the details were more recently published in the book, The Forgotten 500, by noted author Gregory Freeman. 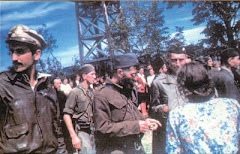 Along with the protection, food, lodging and medical assistance provided by Mihailovich’s men was the incredible evacuation of the Americans and other Allied airmen who had fallen into Nazi-occupied territory in Yugoslavia in 1944 while fighting the Hun. The evacuation was called Operation Halyard, the greatest rescue from behind enemy (German) lines ever.